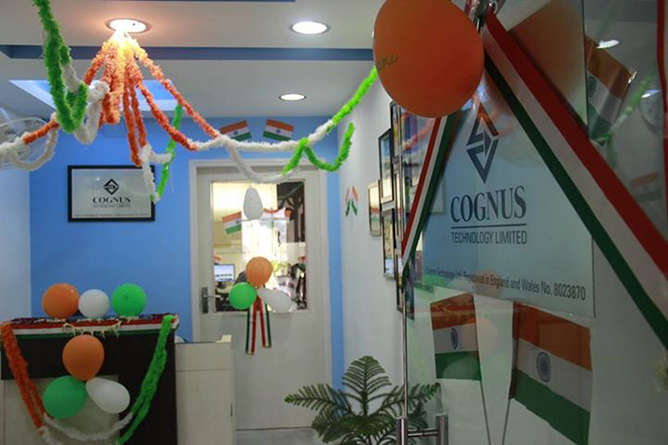 On this 15th August 2014, we celebrated the 68th Independence Day of India at Cognus Technology Ltd. It has been a tradition in Cognus for years now, to celebrate this day with the same zest and energy as we do for other festivals like Diwali, Holi, Christmas and more. We planned an amazing evening for that day with many contests, competitions and fun activities. Small flags were placed at each and every employees’ work station and every one of us was asked to change the desktop wallpapers to our “Trivarna Jandha” (tri-colored national flag) for at least a day/week. To top the occasion it was compulsory for all of us to wear traditional dress in Tri Color ... there were only three colors that could be seen all around - Saffron, White and Green. The participation was in full form and the feeling of patriotism could be seen in one and all. Close to the end, the winners of the Best Dressed in Traditional Attire (male and female) were announced. 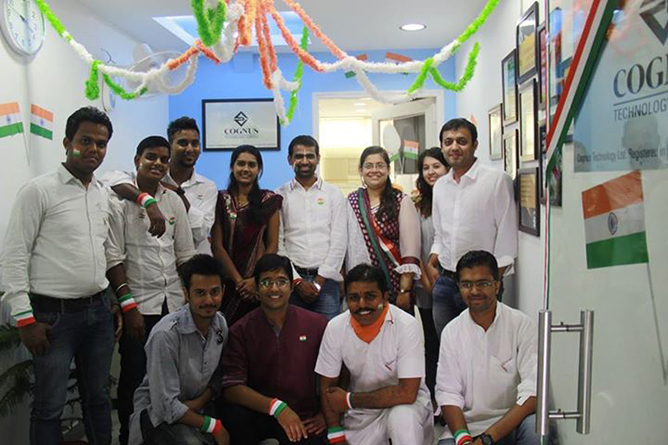 Last but not the least all Cognusians wished each other Happy Independence Day and the celebrations ended with a Pizza party.